Electronic personal dosimeters are designed to warn the user when preset dose threshold levels are exceeded. 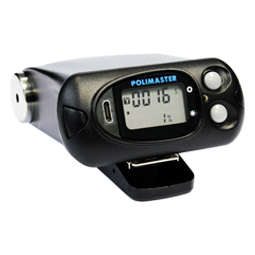 Polimaster offers professional dosimeters for precise measurement of ambient dose equivalent and ambient dose equivalent rate of gamma radiation. 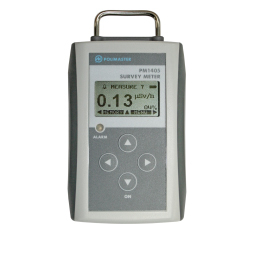 Instruments can be used in extreme environments and are recommended to professionals and personnel whose work is related to the radioactive materials. 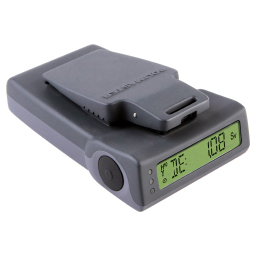 Polimaster offers highly sensitive gamma and gamma-neutron Personal Radiation Detectors of compact size, which provide search of radioactive sources, perform environmental monitoring and alert the user in case of radioactive hazard. The main features of Polimaster PRDs - are high sensitivity and fast response. Instruments are designed for search, detection, localization and identification of radionuclide composition of radioactive materials. Multifunctional hand-held devices are able to solve the full range of radiation detection tasks. 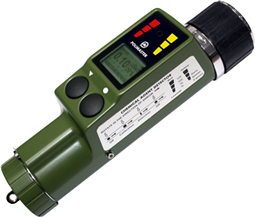 External smart probes are intended for use as a part of multifunctional hand-held radiation monitor PM1403. 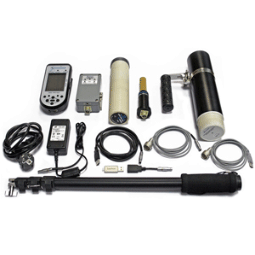 The full set of PM1403 (with probes) includes: Gamma Radiation Detection Units, Neutron Radiation Detector, Alpha-Beta Radiation Detector and Display and Control unit. Food contamination monitor is designed for measurement of radioactive contamination level in various foodstuff and drinking water. It also can be used to check dry and liquid samples. Instruments are designed for search, localization and activity measurement of radionuclides detected. 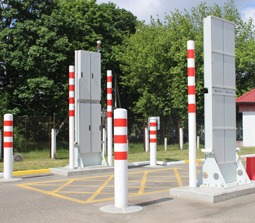 Portal radiation monitors are considered to be the first measure to prevent illicit trafficking of radioactive materials through State Borders or from/to limited access areas. 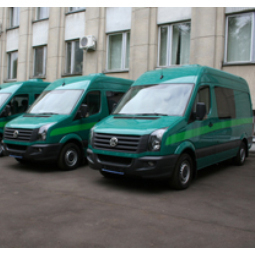 Depending on the number of detectors and configuration, monitors can be used for monitoring of transport, pedestrians, luggage. The autonomous laboratory allows to solve the whole range of problems of radiation control at rapid and tactical response. It can be used as the command center when overcoming accidents with radiation sources. 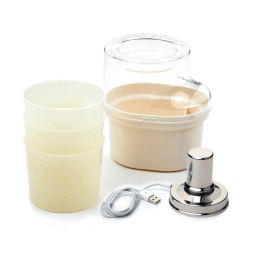 Also, it can be converted for the solution of other tasks for ensuring radiation safety. 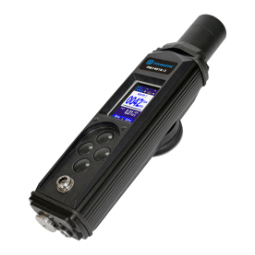 Integrated Mobile Detection System (MDS) PM6100 is designed for automatic scanning of fixed or mobile objects to detect illicit trafficking of radioactive substances and materials. Devices are designed to detect chemical warfare agents and toxic compounds and differentiate between organophosphorous (GA, GD, GB, VX, etc.) and arsenic-containing (Lewisite, and Lewisite like) compounds, continuously monitor radiation background and provide audible and visual alarms when the preset thresholds are exceeded. Contraband detector is a portable instrument that detects hidden items (drugs, explosives, weapons, currrency, etc.) 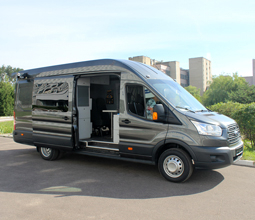 within the closed cavities of transport vehicles, freight containers and other objects. Polimaster offers easy customized solution for the effective detection of gamma and neutron radiation sources to ensure radiation security on the Customer facility. 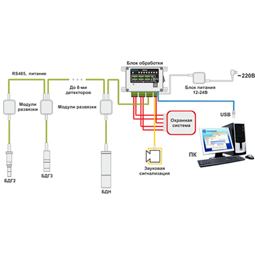 The System can be used for continuous gamma and neutron radiation monitoring of large areas, remote separate locations and different facilities where radioactive sources are stored or processed. It has flexible configuration and uses up to 8 wall-mounted Gamma and Neutron Probes of different sensitivities and measurement ranges. 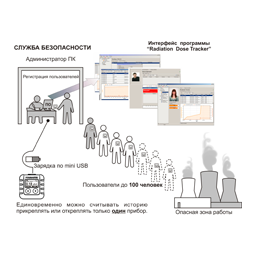 Radiation Monitoring System can be used in different areas: nuclear facilities, waste management, areas and buildings with limited access, border/airport check points, places of storage and use of nuclear materials. 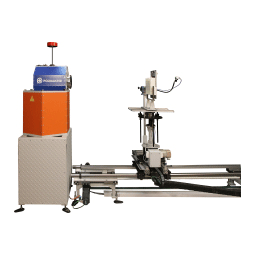 The Automatic Irradiation System is designed for verification, calibration, and quality assurance of the radiation instruments that measure exposure dose and exposure dose rate, air kerma and kerma rate, dose equivalent and dose equivalent rate, personal dose equivalent and personal dose equivalent rate and testing these instruments in gamma-radiation collimated beam (emitted by standard sources 241Am, 137Cs, 60Co and other). Polimaster offers system solutions for effective environmental radiation monitoring of wide territories and for acute dose control of personnel and X-ray equipment operators.